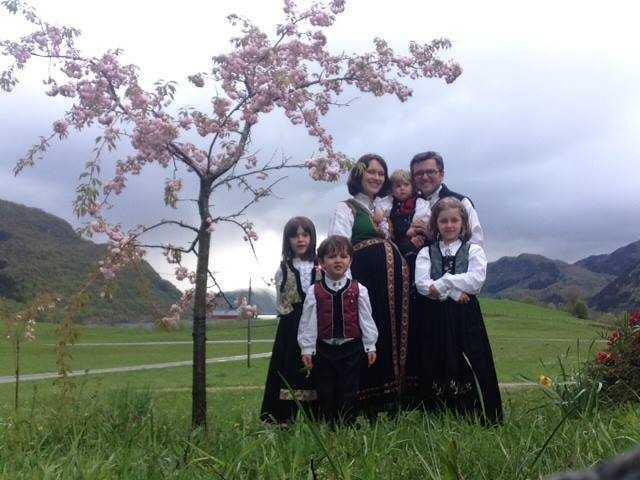 Five Norwegian children who were seized by the country’s child welfare services department were allowed to see their parents this week—for the first time in three months. But the discussion also turned to abuse allegations as Barnevernet expressed concern that the children might have been spanked, which is illegal in Norway. In a website created to provide updates on the situation, Ruth Bodnariu’s father states that the children were not abused and that the parents never even raised their voices. On Tuesday, for the first time in three months, the Bodnariu’s were able to see their children for three hours. “It was such a happy reunion, for everybody had so much to say: Naomi couldn’t stop talking; Ioan, the two-year-old boy, had learned a few more words and had a lot to say also. Baby Ezekiel was happier than ever,” Pastor Cristian Ionescu, a friend of the family, outlined on the support website. “They talked, they played, and then they sat at the table to eat, but only after they prayed and sang a little prayer-song they used to sing before eating,” he said. But Ionescu also noted that the Bodnariu’s were concerned about a comment relayed by one of their daughters. The Bodnariu’s must still go to trial and Barnevernet is seeking to have the children evaluated by a psychologist. Protests have been held in countries throughout the world in support of the Bodnariu family.